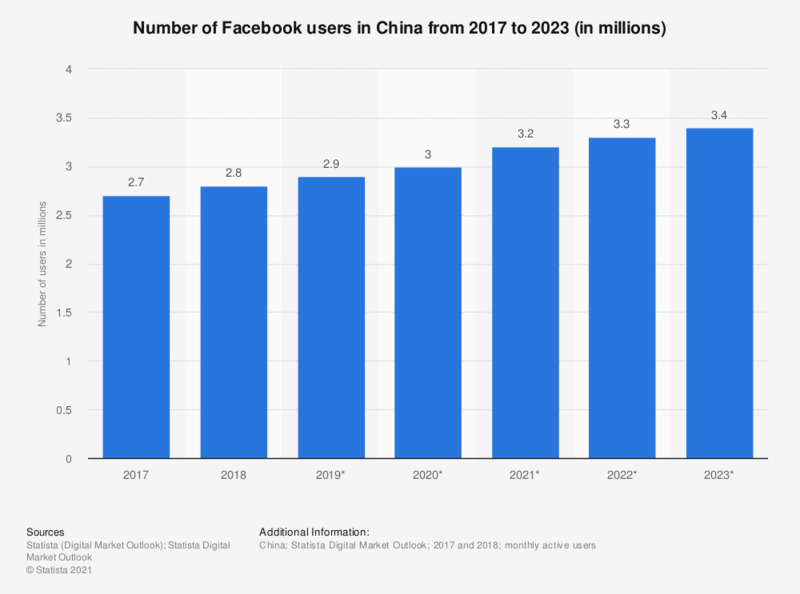 This statistic shows the number of Facebook users in China in 2017 and 2018 with projections until 2023. In 2018, the number of Facebook users in China was around 2.8 million and was expected to reach approximately 3.4 million by 2023. The social network is officially banned in China.